Mother has won a competitive three-way pitch for Innocent's European account, seeing off Creature London and M&C Saatchi. 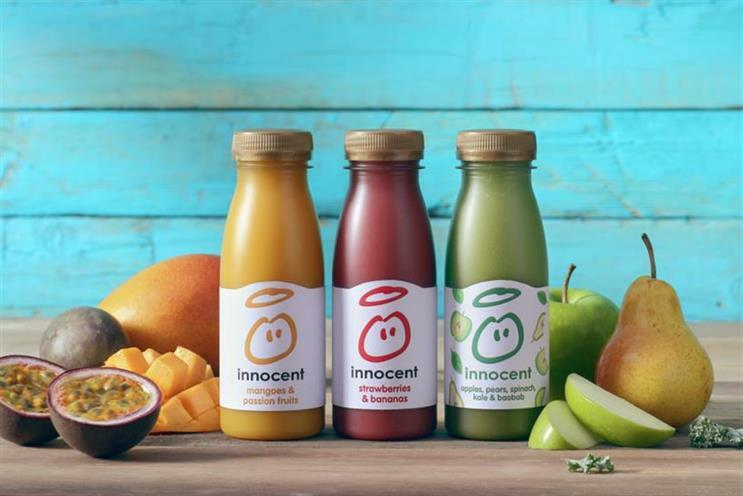 The agency will develop the juice brand’s communications across its pan-European business, as Innocent tries to expand beyond the UK. Read more on this story here. McCann Worldwide will now handle RB-owned cleaning brands Dettol and Lysol worldwide, while incumbent Havas Worldwide has been given a strategic role. The latter will lead strategic and creative partner for new initiatives. Read more on this story here. Below the Belt, a grooming brand for men’s nether regions, has appointed Lucky Generals without a pitch or intermediary. Set up by PHD founder Jonathan Durden, and co-founders Geoff Percy and Graham Lynch-Staunton, Below the Belt has been producing its ads in-house. Lucky Generals will take on a more wide-ranging role, including film, social media and strategy. Free-to-air digital service Freesat has picked Mr President to launch a new brand campaign to launch this autumn, spanning TV, print and digital. Read more on this story here. Kew Foundation, the charitable arm of the London botanical gardens, has appointed McCann London as its integrated agency after a competitive pitch. The agency will help build out the foundation's fundraising marketing and communications, and raise awareness of its plant conservation work. Dare has been appointed by not-for-profit outfit Parkrun as its full-service digital agency. Parkrun runs free events globally and Dare has been tasked with building out the organisation’s digital offering. The agency will develop the digital strategy as well as experience planning, design and build.